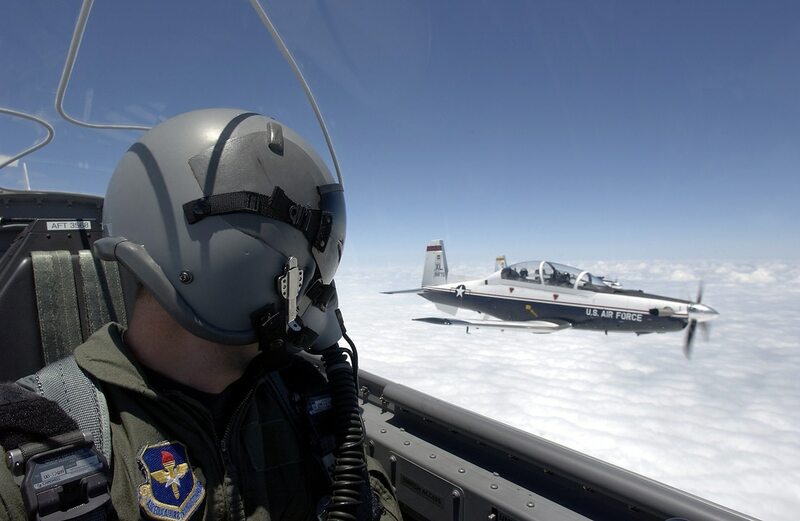 AETC’s 19th Air Force grounded its T-6 fleet for nearly the entire month of February after 13 pilots at Columbus Air Force Base in Mississippi, Vance AFB in Oklahoma, and Sheppard AFB in Texas complained of “unexplained physiological events,” such as hypoxia, during a single week in January. The trainers resumed flying Feb. 27. Aviation Week reported Monday that T-6 pilots had reported eight unexplained physiological events since March 1. In addition to hypoxia, a condition that occurs when someone has too little oxygen in their body and is at risk of becoming confused, faint or passing out, the Air Force also has used UPE to also describe conditions such as hypocapnia and hypercapnia, oxygen-related disorientations that can resemble hypoxia. In an email Wednesday morning, 1st Lt. Geneva Croxton, Air Education and Training Command spokeswoman, said that number of UPEs in March and April had grown to 12. Croxton said the 19th is not currently considering grounding its T-6s again. “The initial pause [in February] was a requirement due to the unexplained nature of the physiological events experienced,” Croxton said.